This park is an excellent, easily accessed family friendly site, with several camping options available. Mangroves, sheltered mudflats and sandy beachfront habitats showcase some of Tampa Bay’s best waterbird-watching action. Watch Reddish Egrets looking for fish in the park’s shallows, Ospreys and Brown Pelicans diving for their meals, and Roseate Spoonbills sweeping their tactile bills through the shallow waters. Wintering shorebirds like American Avocets and Western Sandpipers are common on the park’s beach and flats, and flocks of Black Skimmers gather on the sand. A variety of landbirds can be spotted in the higher elevation habitats—scattered hammocks and patches of pines and palms are located throughout the park. Loggerhead Shrikes are likely to be seen here, as well as Gray Kingbirds, Great Horned Owls, and Common Ground-Doves. 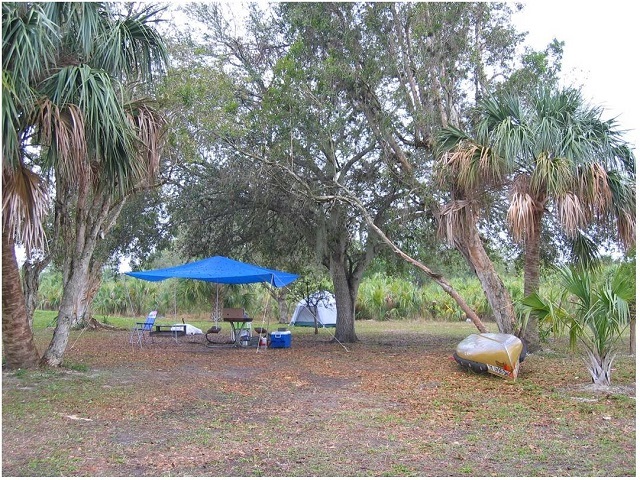 Take advantage of the kayak launch (and rentals if you don’t have your own) to paddle your way around the mangroves and the bay in search of waterbirds and manatees; you can also kayak southward to nearby Cockroach Bay Aquatic Preserve for a longer adventure.